The Arlo Pro 2 Security Camera offers 1080P HD recording capabilities, two-way audio functionality, flexible power options and a tough weather-resistant design. It is compatible with Amazon Alexa, IFTTT, Samsung SmartThings and Stringify. Buy the Arlo Pro 2 Security Camera from Alarm Grid. If you're searching for the ultimate Arlo Camera, look no further than the Arlo Pro 2 1080P HD Smart Security Camera. This device takes video surveillance to the next level with flexible power options, a weather-resistant design, compatibility with a variety of smart platforms and more. Using the Arlo Pro 2 Camera requires the Arlo Base Station, which is purchased separately. This is the device that allows the Arlo Pro 2 Camera to connect to the internet so that it can communicate with the Arlo Cloud Servers and the Arlo App. The camera will speak with the base station, and the base station will connect with the network on its behalf. This base station is needed to get any real functionality out of the Arlo Pro 2. Being able to capture video in true 1080P lets users see any home activity in the finest detail. This can be crucial for identifying the suspect in the event of a home invasion or break-in. The rounded design of the Arlo Pro 2 is friendly and inviting, and it will fit in seamlessly with your home's modern decor. Plus with its 130° viewing angle, you can place it anywhere without worry and know that it will work reliably every time. This is 20° wider than the original Arlo Pro Camera! Activity zones also represent an exclusive feature to the Arlo Pro 2 that can't be done on the original pro model. Users of the Arlo Pro 2 will appreciate its multiple options for providing power. This gives them the freedom to choose what works best for their home or the given situation. The camera can function entirely wire-free with its rechargeable battery and the optional charging station. An AC power adapter comes included for users who want to use conventional power. Arlo also offers a separate solar panel charger for users who would prefer that option. Another great feature of the Arlo Pro 2 is its flexible mounting options. This gives them ample versatility in choosing a location for the device. The camera comes with a magnetic mount for standard installation. Users can also purchase other optional mounting equipment. These add-ons include a table and ceiling mount, a wall mount, a knob mount and a quadpod mount. The weather-resistant design of the Arlo Pro 2 gives the user even greater freedom in choosing an ultimate location. Its IP65 rating lets it stand up to virtually any rain, snow and wind. Its IR night vision capabilities allow the Arlo Pro 2 to record in even the darkest settings from up to 25 feet away. Rain or shine, night or day, you can always count on the Arlo Pro 2. As a security camera, the Arlo Pro 2 responds with excellent reliability and great performance overall. The camera activates upon detecting motion or sound. These detection levels can be adjusted so that the camera responds to best fit the user's needs. Users can also set up geofencing features so that the camera only activates while they are away from home. Any footage that is captured will be stored on the Arlo cloud servers. Users can then view this footage on the free Arlo App for up to 7 days. Local backup storage is also possible through the use of the base station. A feature that really helps the Arlo Pro 2 Camera stand out is its compatibility with various smart platforms. These platforms include Amazon Alexa, IFTTT, Samsung SmartThings and Stringify. These compatibilities make it super easy for users to integrate their Arlo Pro 2 into their existing smart home setup. 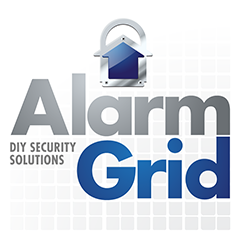 It can also be used with the Telguard Interactive App for alarm systems with Telguard Communicators. Other features for the Arlo Pro 2 include its two-way audio capabilities with its integrated microphone and its ability to send instant notifications to the Arlo App whenever activated. With the Arlo Pro 2, video surveillance has never been this easy. Note: This camera requires the use of the Arlo Base Station to connect to the network!